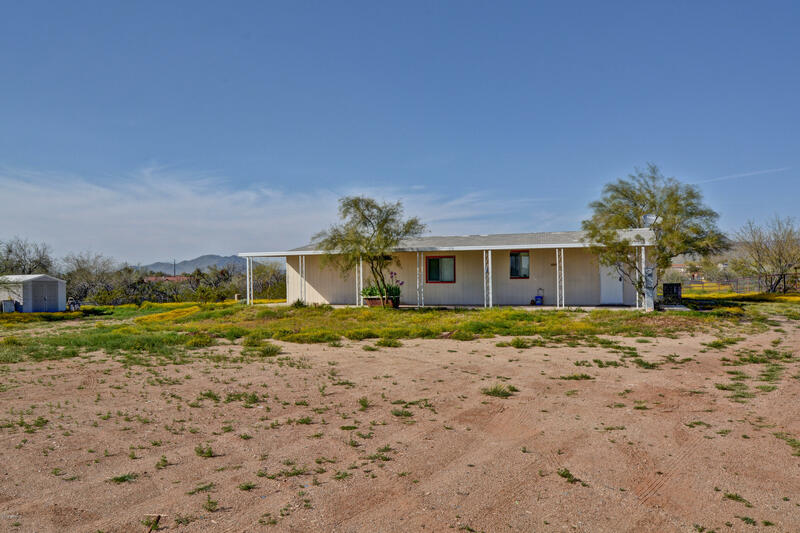 Desert hills mobile home, 3 bedrooms 2 baths with a den/office. Freshly painted, updated kitchen, flooring and bathrooms. Open and split floorplan. Lot is 1. 1 acres. This property is connected to cave creek water co. Very private location. Horse property. For more information or make an appointment to see property ID 5903110.